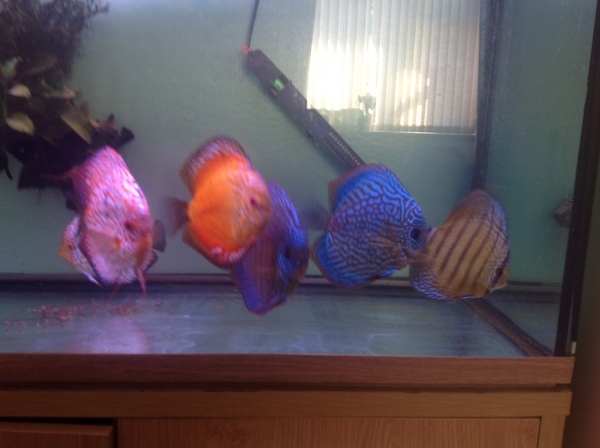 Description: Breeding pair of pigeon bloods 2 red turks 6in + 7in one tangerine 5 1/2in and one cross bred came of the tangerine and a wild brown. sell as a job lot £250 ono. I live in whaley bridge 7 mile from buxton 8 from stockport.